All Suppliers - Amnesty International UK shop. Fair trade. Organic. Ethical. 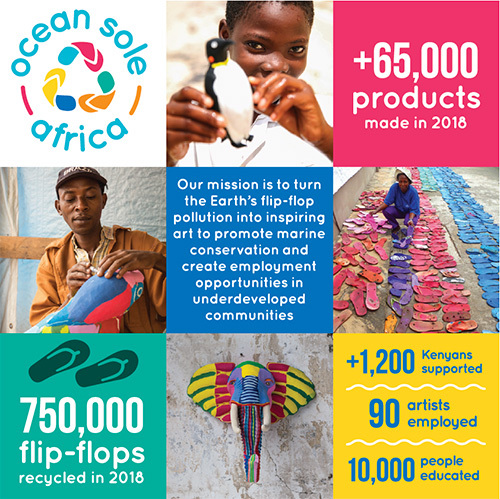 At Ocean Sole our mission is to turn flip-flop pollution into art and functional products to promote our oceans. We are a Kenyan social enterprise who focuses 100% on conservation entrepreneurship.